You may have noticed this past week that “Mark of Quality” was looking a little different. The biggest change was switching to a new theme (“Sketch”, by Automattic) – specifically one that supports a project gallery. And then I built the project gallery. The gallery collects the major projects that the girls and I have worked on in the past. Many of them are only a single blog post long, but where the gallery really shines are the longer-term projects, like the Stratoballoon, that are made up of many posts. Speaking of the Stratoballoon, I hadn’t realized that we made 54 posts for that project, including 16 podcasts! In addition to pulling together the major projects, I also added a couple of tags to the appropriate posts. First, the new Podcast tag links all of the podcasts together. When I went through the posts to add that one, I realized we actually have two separate Episode 11’s. Oops. The other thing I did was add a tag called Quote Board. A lot of the humor in our house ends up being verbal – puns, turns of phrase, and so on – and this new category ties those together. One of the wonderful side effects of updating this corpus was having to re-read the posts to see if they fit the new tags or not. We’ve made more than 350 posts since August 2010, when “Mark of Quality” debuted. This week, I’ve re-read at least two thirds of them. There are a lot of good memories here, and I found myself laughing out loud multiple times. I’ve had these upgrades planned for a while, but it wasn’t until this past weekend that I really started putting any time towards it. Once I got rolling, I really got into it, and wanted to see it through to the end. There are still a couple of things that I want to do yet – like a blog banner image – but the bulk of it is done now. We’ve had an interesting last couple of weeks when it comes to animal life. 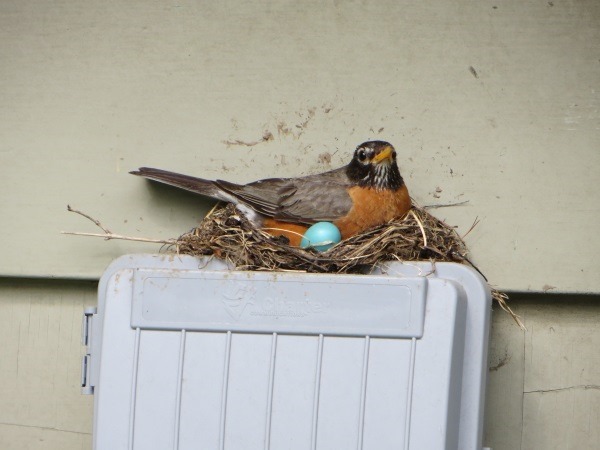 Not only do we have a family of bunnies living under our deck, but we had a robin build a nest on top of our neighbor’s cable box. The nest is in a great spot. It’s about six feet off the ground, on the east side of our neighbor’s house, under the awning, so it’s very shielded from storms, cats, etc. Her only real threat appears to be the yahoo who keeps pointing a camera at her. 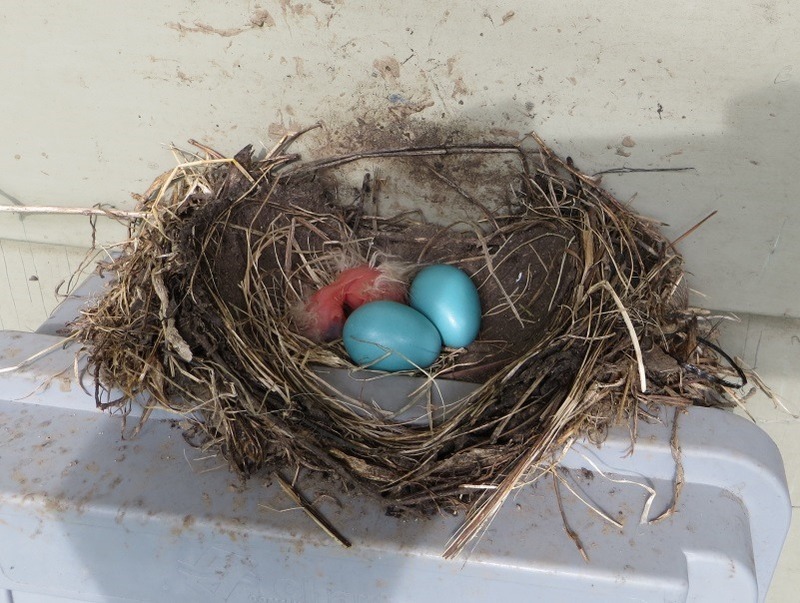 I first saw her about three weeks ago in the finished nest, and then about a week later found three eggs in it. About a week ago, the first one hatched. 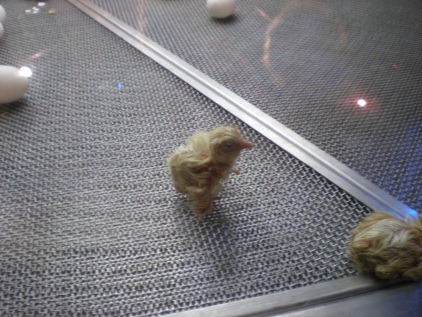 The other two hatched about a day later each. I do try to limit how often I go on that side of the house, to minimize how often I freak out momma-bird. Unfortunately, that’s where we keep the trash can, so when I need to pull it out I try to walk up very slowly, out in the open where she can see me, in the hopes that I just can get the trash can and go. Every time I get within about 3 feet, though, she says "Nope!" and flies off to a nearby fence. 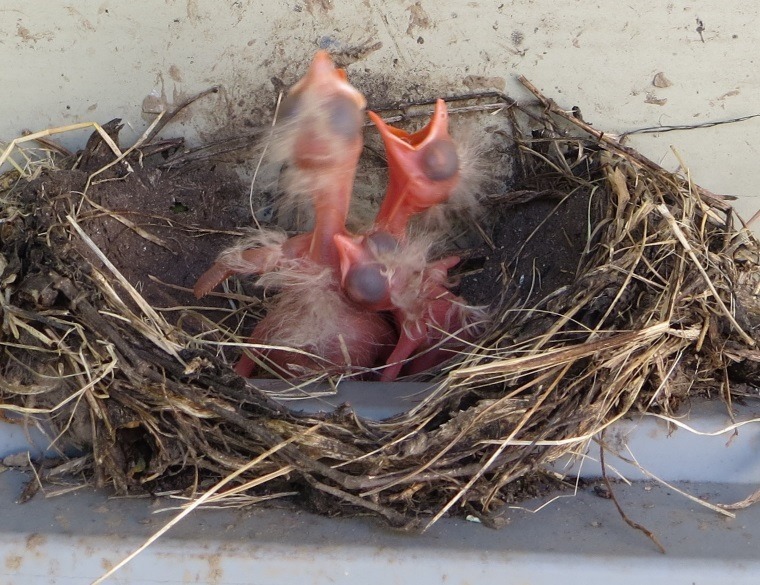 I can’t wait until their eyes open, and they start getting their flight feathers. They’ve been growing incredibly quickly (those worms must be like HGH for birds), so we probably don’t have to wait long. 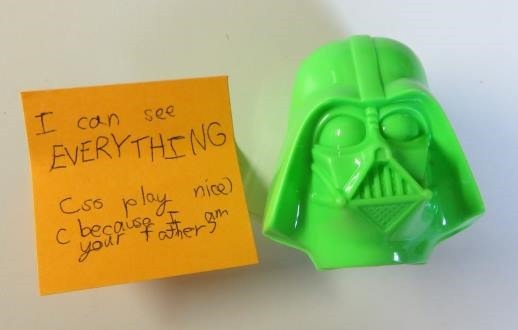 “Toy Story” and “Star Wars” are right at the top of our favorite movies, and we love mashing them up. I’ll admit, though, this one was a little creepier than usual. But then again, it is MY daughter that we’re talking about here. 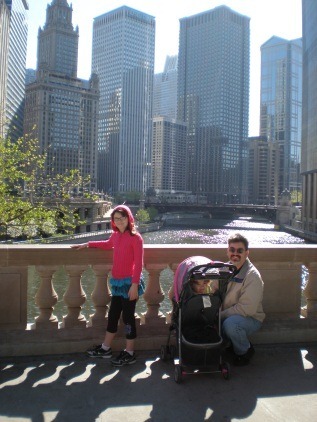 Last week, CJ, the girls, and I took a 3-day vacation to Chicago. CJ and I hadn’t been there in a decade (in fact, CJ was pregnant with Katherine at the time), and the girls obviously hadn’t ever seen it. Here are some of the highlights from the trip. 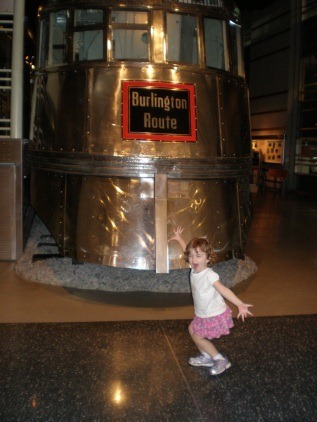 Once in Chicago, our first stop was the Museum of Science and Industry. We got there about a half an hour before the museum opened, so we parked and walked out to see Lake Michigan. We could easily see Gary, Indiana from where we stood, but everywhere else was just water. There was a structure of some sort (it looked like a small dock) out a few hundred yards from the beach, and Lucy was sure that that was Michigan. Once the museum opened, we made a bee-line for a restored mail train that was on the main level. 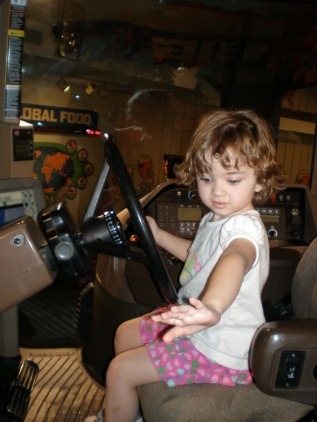 The girls loved walking through it, and there was an interactive kiosk that allowed you to drive it. Lucy loved pulling the steam whistle. We went upstairs and found the kids area, where the girls ran wild for a good half an hour or more. 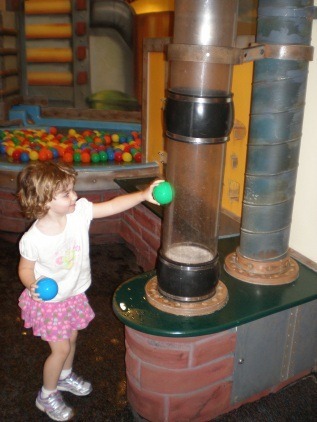 One of the favorite activities for everyone was a pneumatic tube where you could feed balls, and watch them go shooting across the room. Then the bus loads of kids started pouring in (apparently the week before spring break, and there are a lot of class trips – go figure), and we decided to find less-heavily populated areas. CJ and I split the girls up. I took Katherine to the space area, and giggled at the predictions made in the last 10 years. 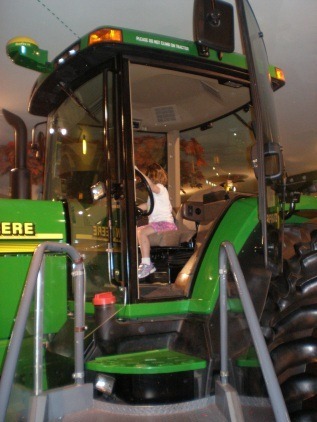 CJ took Lucy through the farm area where, among other things they had a full-sized tractor, which Lucy fell in love with. 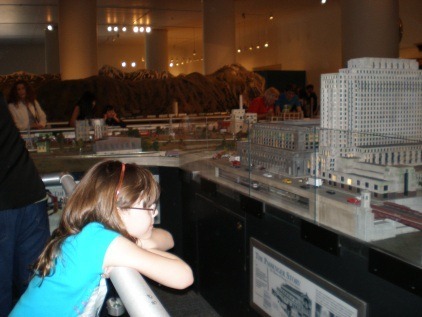 They also had a very large model train installation, and a miniature of the Chicago skyline, probably to scale. 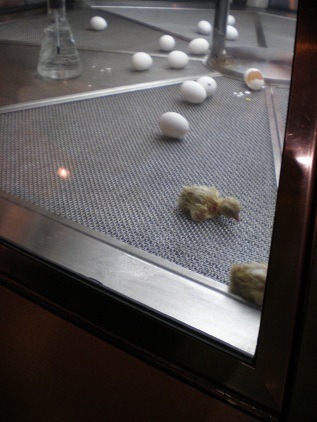 The last stop was the chick hatchery – so cute! We also made a sojourn to the Chicago Biggs|Gilmore office. 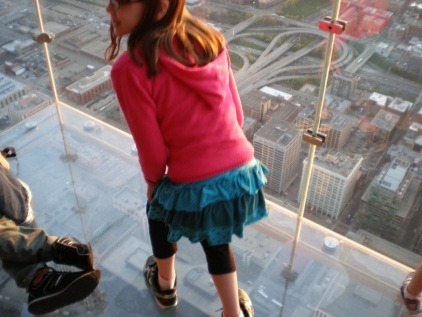 Later that night we went to the Skydeck in the Willis (Sears) Tower. 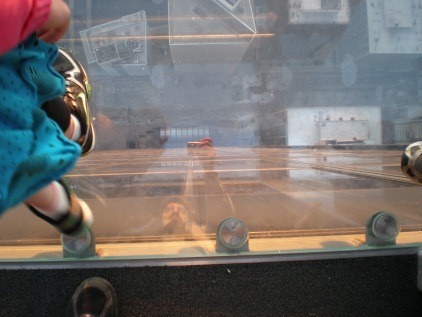 These are all glass cubes that jut out from the building, and allow you to see straight down the 100 or so floors. I am the first to admit that I wanted to step out in the middle of one of these, but chickened out at the last minute, opting for a picture instead. Yes, apparently I left my nerve in the hotel room. Lucy, on the other hand, was not so inhibited. 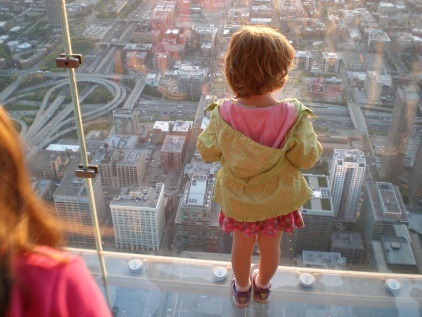 She RAN out to the glass walls to look out. Katherine also was more daring than her Dad, and joined Lucy. Katherine also did the obligatory “let’s jump on this thing to make sure it’s solid”, giving all of the nearby adults, including Mom, heart attacks. The four of us bounced around quite a bit after that, taking in the mummy exhibit, the underground adventure, some of the African and Pacific exhibits, and the rockology area. 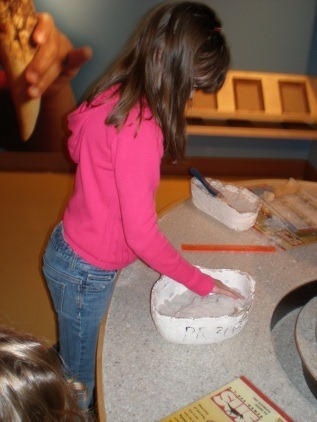 We also hit the kids hands-on area, where Katherine surprised the attendant by correctly identifying the bone she dug up, measuring it (apparently most kids get “width” and “length”, but not “depth”), and drawing it. After we had been there for a half an hour, bus-loads of kids on field trips started coming in, so it got very busy and very loud. 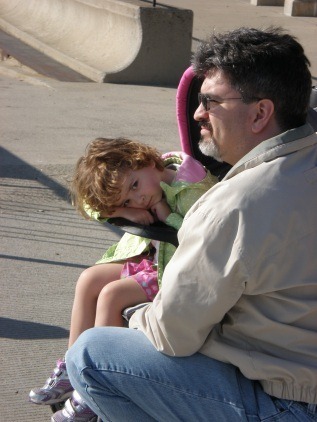 We had an early lunch, looked at one or two other things, and then scooted out. We were originally going to try to hit the art museum too, but we decided that hitting the pool and going out to an extremely good dinner (at Weber’s) was a better idea. Somewhere along the way CJ congratulated me on a good idea that I had, and I said, “well, I do have a good idea now and then.” Then me, trying to pay her a compliment added, “It’s not easy being married to a brain surgeon, you know.” Without missing a beat she responded, “Good – it looks like my tinkering is paying off.” I was literally slack-jawed for a good ten seconds. It was one of the most disturbing (and simultaneously hilarious) things she’s ever said to me. We finished off the night with an episode of “Phineas & Ferb” called “Excaliferb”. The next day, Friday, we headed out for breakfast in a torrential downpour. Of course, it stopped raining by the time we had finished breakfast, which allowed us to dry out the rest of the day. 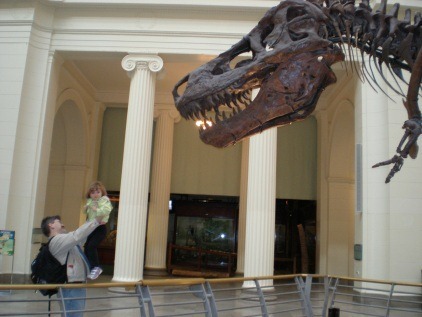 We checked out of the hotel, and drove to Shedd Aquarium, where things got packed and loud real fast. It was wall to wall people for our entire stay, which made seeing anything difficult and stressful. We did get to see the beluga whales, dolphins, and some jelly fish. We also saw “Dora & Diego’s 4-D Adventure: Catch that Robot Butterfly!” which the girls loved. That was the last thing we did, so it was a nice way to end the trip. 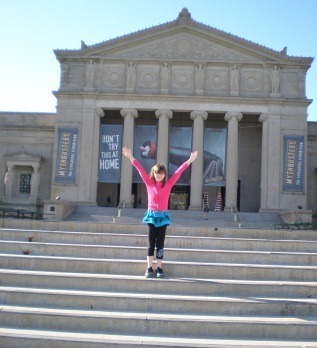 Lucy was asleep before we even made it out of the parking lot of Shedd, and slept for a solid 90 minutes. We had a good drive home, and celebrated being home by ordering in and watching the new Muppets movie.